Clinton National Airport is Arkansas's largest commercial airport with more than 2.1 million passengers in the year March 2009 through February 2010. 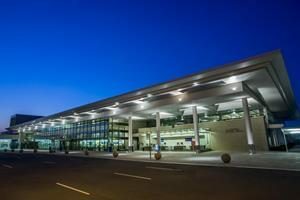 More than 50 flights arrive or depart at Little Rock each day, with non-stop jets to 13 cities. 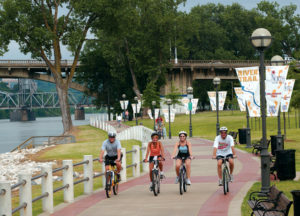 The Arkansas River Trail System is a tribute to outdoor recreation, conservation, wellness, and the diverse geographies of Central Arkansas. It forms an expansive 88-mile loop through the Natural State, including Little Rock, North Little Rock, Maumelle and Conway. A loop from the Clinton Presidential Bridge via NLR to the Big Dam Bridge and back to the Clinton Bridge via LR is 15.6 miles. 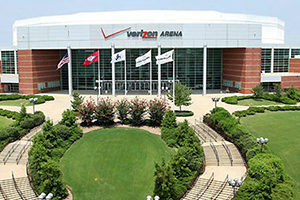 Verizon Arena, formerly known as the Alltel Arena, is an 18,000-seat multi-purpose arena in North Little Rock, Arkansas, directly across the Arkansas River from downtown Little Rock. The arena opened in October 1999. It is Little Rock's main entertainment venue. 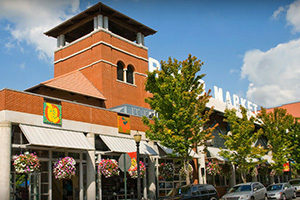 Located in the heart of downtown Little Rock, the River Market District, offers a market hall with an exciting mix of food vendors that will entice your senses and fit any taste buds. You can also shop for fresh fruits and veggies, visit several art galleries and souvenir stores, dine at a variety of restaurants, take a trolley ride, or stroll through the park. 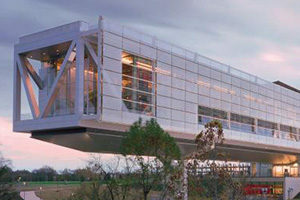 The William J. Clinton Presidential Center and Park is the presidential library of Bill Clinton, the 42nd President of the United States. It includes the Clinton Presidential Library, the offices of the Clinton Foundation, and the University of Arkansas Clinton School of Public Service. 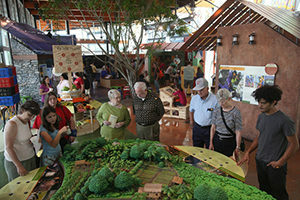 Heifer Village, located at the headquarters of Heifer International, is a place where visitors, staff, volunteers, and the international development community can come together to learn more about world hunger, poverty, solutions currently being employed to combat those problems, about Heifer and its mission, and help to seek solutions in the worldwide effort to end hunger and poverty. 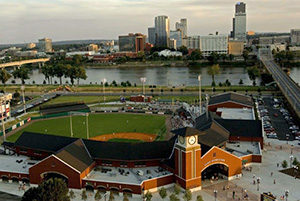 Dickey-Stephens Park is a baseball park in North Little Rock. The ballpark serves as the home for the Arkansas Travelers of the Texas League. The capacity of the ballpark is 7,200 which includes 5,800 fixed seats with capacity for 1,500 on the berms. 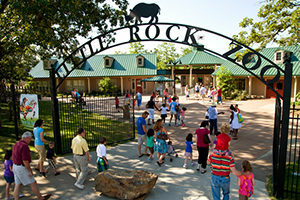 The Little Rock Zoo was founded in 1926. It is home to more than 725 animals representing over 200 species, and covers an area of 33 acres. Exhibits are made to fit the animal's needs and mimic their surrounding environment as effectively as possible to ensure that the animal is comfortable and not stressed in its new home. 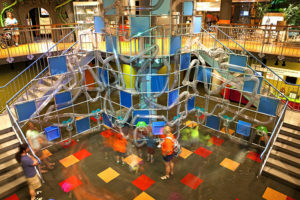 With nearly 90 brand new, state-of-the-art, interactive science and technology exhibits, the Museum of Discovery is a leading informal science education resource for all ages. A theater, conference room, and multi-purpose classrooms provide teaching spaces and rental opportunities. 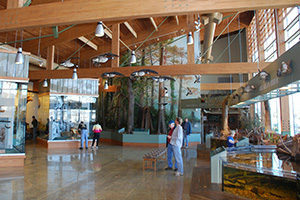 The Witt Stephens Jr. Central Arkansas Nature Center is one of four such Arkansas Game and Fish Commission facilities in the state. It focuses on the recreational opportunities provided by our state’s fish and wildlife resources, and tells the story of AGFC’s role in restoring and maintaining them. The center overlooks the Arkansas River and features live native animals and interactive exhibits, as well as the second largest aquarium in Arkansas!